Wow, when it rains, it pours! So much has been going on this week and still is! First things first, how would you love a $250 gift card from any online store of your choice? 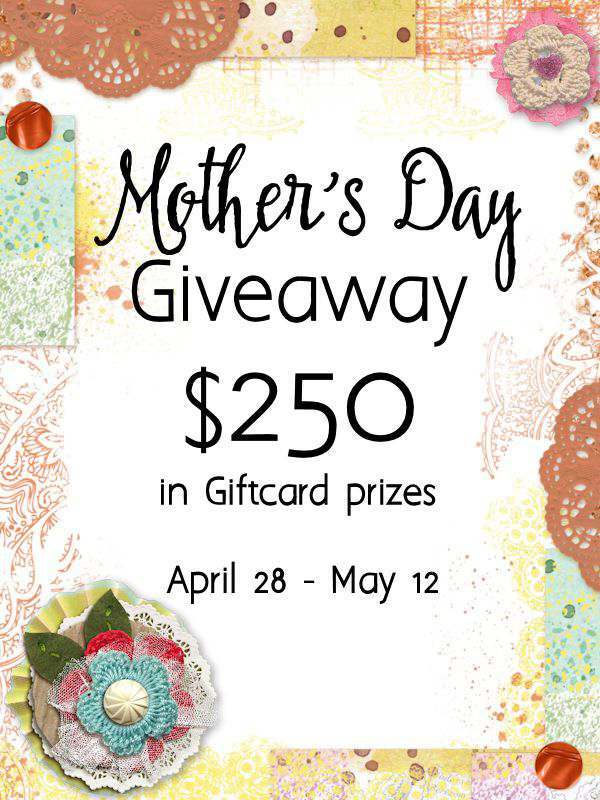 If you enter this Mother’s Day Giveaway, you’ll have a chance of winning it! Now onto more exciting news. I know most of you know we lost our precious Molly on March 10, very suddenly. If you missed it, you can ready about her here. Mr. Cottage and I haven’t been without a dog for over 30 years. The past couple of weeks, Mr. Cottage has looked around and I checked online. He stopped into our Animal Shelter last week, but many of the dogs were being spayed and neutered and he was told to come back the next day. He brought be along, and that’s when we both spotted this little dog who stole our hearts. We were told she’s a Cairn Terrier mix, is about a year old, and was brought in 10 days earlier as a stray. While she was checking us out and we were checking her out, I thought of the name Sadie, but didn’t say anything aloud. Later, that day, Mr. Cottage came up with the name, Sadie Sue and said we would call her Sadie. Now what’s the coincidence of that! She was obviously meant to be named Sadie, and for all we know, maybe she was by whoever had her before. Fortunately we already had this crate lying around, just in case. Mr. Cottage got it all cleaned up; and surprisingly, Sadie hasn’t objected to it. We brought it to the Animal Shelter when we picked her up, and when Mr. Cottage opened the back door of his truck, before either of us could do anything, Sadie jumped right in onto the trucks floor. Something tells me she’s been in cars or trucks before. Mr. Cottage finally relented to my suggestion that she should have a pink collar. Doesn’t that bright pink look lovely on her? And look who we’ve been taking care of again…Hoover. Surprisingly, Hoover and Sadie are getting along great. For Molly, I had Moments With Molly. I’m currently thinking about Stories With Sadie. If any of you have a suggestion, please feel free to share it! 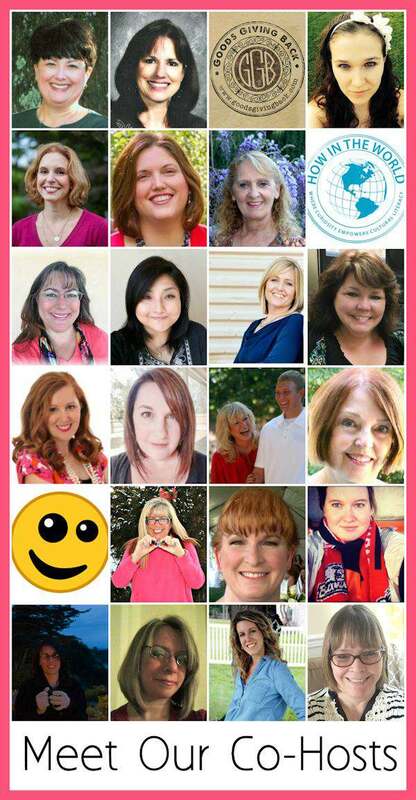 This post contains affiliate links to products I use, love and highly recommend. If you purchase any product through this site, I may be compensated, but you do not pay one penny more. You can read more here. Yay, Carol, you have a new furbaby! Sadie Sue looks sweet AND sassy. Can't wait to see how her personality unfolds. If the terrier prevails, we're in for some interesting stories, no doubt! Carol, I'm thrilled to hear you got another dog! Life is not complete without a dog in my life & I think you're the same. Sadie looks delightful & glad to hear you got her from the shelter. Sometimes we go to the shelter, but of course, we want all of them. She looks ideal for y'all. I approve of "Stories with Sadie"! Oh Carol, Sadie is so cute! How lucky that you found each other. We are still without a dog since December when we lost our Aussie. We look often but haven't found the perfect fit yet. And we travel too much, often on a whim so it wouldn't be fair to a pet right now. Our niece brings her dog often and we spoil her. It gives us our dog fix until we're able to have our own again. On Mother's Day, I will be visiting with my son ad my two grandbabies. We also lost a Molly, our chocolate lab rescue, about 6 months ago. My hubby said, no more dogs. In the paper, there was a notice for free mostly lab puppies. My hubby said no way. Then, the lady sent a pic of the female choc. lab. He said no way. Then, about 3 days later, he said, "Maybe we could go and see the puppy." Well the rest is history and we now have Gracie. It is a lot of work for two old people to train a bigger puppy. She is doing great and we do love having a dog because we have never been without a dog either. We always laugh and say, "She's our free $2,000 dog." So glad you have Sadie; pets are a blessing. Love your site and all the good things. Carol. Little Sadie looks likes she's settling in and I hope she and Hoover become great friends. Thanks so much for the chance at the Mothers Day gift card giveaway too. Congratulations on your new family member. It's so hard when we lose a beloved pet and we tell ourselves that it may be a while before we get another - but it doesn't take long before our hearts want what only a pet can give and we start looking again. Sadie will give your life such meaning and you will give her the love and care that she deserves. How lucky are you all to find each other. Oh my gosh, Sadie is such a sweet baby, I'm so glad she came into your life!!! Poor sweet Molly would be happy you have Sadie to love. Oh My Golly, I'm so excited for you! Sadie Sue is adorable and I can already see on her face she seems much happier to be with y'all. She's definitely a keeper! Congratulations on finding Sadie. She is so cute! It sounds like she is fitting in nicely and happy to find a home again. What an adorable new friend! It's great that you found each other! Stories with Sadie sounds great. So happy you rescued Sadie! She's adorable. Sad she was a stray, but what a lucky end to her orphanage experience. The best way to honor your Molly's memory is giving a loving home to a homeless dog. Will look forward to Sadie's stories. Oh My ! How precious ! I'm so glad Sadie has found a new, loving home and she chose the Best ! Fur babies enrich our lives so much. You are such a lovely person Carol and your hubby sounds like a sweet man. I KNOW this new addition to your home will be a rewarding and special one. So happy for your new family member! Heart warming story. Thank you for saving Sadie Sue. Oh Carol, Sadie is adorable! I'm so grateful you've found a new fur friend with whom to share your heart. You will be such good "parents!" I tried to leave a comment for the drawing but it wouldn't seem to take and I couldn't open the box again after I closed it. I may come back when I restart and try again. As you might expect, I'm pretty excited that this year we have our Baby Grand so I think it will be all about celebrating Molly and her grand achievement! Aww! She's so cute! I'm glad you found a shelter dog and she looks so sweet. I think the pink collar is perfect! Congratulations on your new sweetie! I think the best thing we can do to honor a beloved pet we lost is to get another pet to share our love. We are not replacing the pet we lost but honoring the love we had for them. I am so happy you are honoring Molly. How lucky Sadie Sue is to have you. Life is lonely without a pet around the house. It sounds like it was meant to be. Oh gosh -- she is ADORABLE!! How lucky she is to have 'landed' in your home! And I agree -- the name AND the pink collar suit her perfectly! You had me at that first picture of Sadie! My congratulations to you for adopting her! Of course, Molly will have a place in your hearts forever. The thing is, our "fur" babies always enlarge our hearts, no matter how long they are with us. Glad you recognized that there was room for Sadie, too. As you hold the sweet memories of Molly close, rejoice in Sadie's warm little body and soul as she adds a blessing of her own to your lives and home, and love her for herself, for she surely was meant to be with you. Happy Mother's Day! Carol I am so happy that you have bought Sadie into your lives. I think that having a dog makes our lives so much richer. Congratulations on the new addition to the family. Congrats on rescued Sadie. She is adorable. Our hearts are capable of lots of love. Losing a fur baby is difficult, but we always find room to love another. I know all of your lives will be enriched by each other. Thank you for sharing at Dishing It & Digging It. Happy Mother's Day. What a sweet, little dog. Love her black color and her lovely name Sadie Sue. Stories with Sadie sounds perfect. Enjoy your new adventures with Sadie.